capable of a major counter attack due to a shortage of oil. north of Antwerp making the surrounded men easy prey to the German army. beacon light flashed by the control tower at the pilot to tell him to take-off was barely visible. beautifully clear morning with the first light of dawn breaking in the east. it. The rest of the crew was shaken up and bruised as the B-17 broke in half at the radio room. fields! * Each group had to await its turn in line to land at one of these three bases. we should try to catch some sleep in our aircraft as a mission was scheduled for the next day. they told us not to use the B-17s electrical system to heat our electrically heated flying suits. Without the engines running, the electricity would be quickly drained. were spreading sand and salt on it. The telephone and electric lines looked like mile long icicles. The wings of the B-17s were completely iced over. “How in the world are they going to de-ice all these aircraft,” I asked Lt. Raisin. was our Christmas in England. A Christmas John and I would never forget. and not knowing what had happened to all their comrades. CHRISTMAS, 1944, AT THE 91ST BG BARRACKS. By Dale Darling and used with his permission. hearts for the rest of our lives. Berny was more than a copilot he was part of our family. tactical Wing of the Air Force that day hitting German air fields and oil supplies. there. A short little toe headed kid! "Where is everybody?" he blurted out. I didn’t quite understand what he had said and asked him to say it again. with tears flowing from both of our eyes. thing will be over and we will be able to spend next Christmas at home." was the one and only time I ever saw Fred. icing on the wings due to the extreme cold the planes had to wait to return to base. Mike Banta flew as Co-pilot onboard 43-37993 /DF-N as part of Raisin crew. 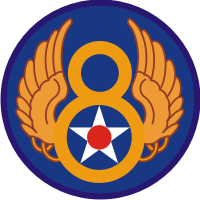 * In the first story it is mentioned that the entire 8th AF landed on 3 airfields. This was not the case, all 2nd and 3rd Division A/C landed at their own base.